Experience the gorgeous scenery and breathtaking landscapes of the Canadian Rockies on this epic 10 day rail holiday from Vancouver to Calgary. After making your way to the hotel, check in and start exploring this nature lover’s paradise, where the majestic mountains meet the serene coast. 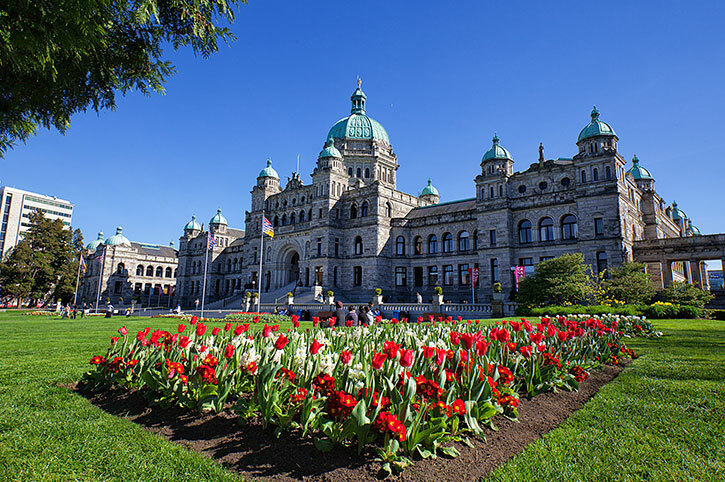 Today’s full day of sightseeing begins with a hop-on, hop-off sightseeing tour that will take you to all of Vancouver’s most popular attractions, including Stanley Park, Chinatown, Gastown, Granville Island, and more! 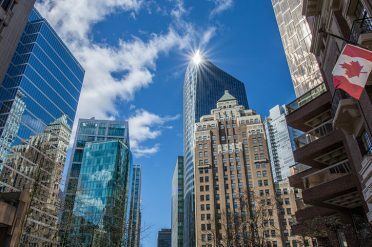 The tour will feature live commentary, so you will get to learn what makes Vancouver so special. Feel free to hop on and off at any of the stops to explore them at your own leisure. Today also includes admission to the Vancouver Lookout, which towers hundreds of feet over the city. Sweeping 360-degree views of Vancouver await you at the top! This morning, travel to the Vancouver Bus Station, where a coach will take you to the Victoria Ferry service for a stunning ride to Victoria. This quaint coastal gem has a dynamic blend of serene mountain views, historic charm, and urban appeal. During your time in Victoria, you will visit the famous Butchart Gardens an oasis of colours and beauty. Enjoy floral decorations from all over the world as you wander through the former quarry. Afterwards, take the ferry back to Vancouver and enjoy a good night’s rest. This evening, travel on your own to the VIA Rail station and board The Canadian® eastbound to Jasper. After you settle in, head to the observation car for breathtaking views of the Canadian Rockies. Wake up in the Canadian Rockies and enjoy a relaxing day on the train. 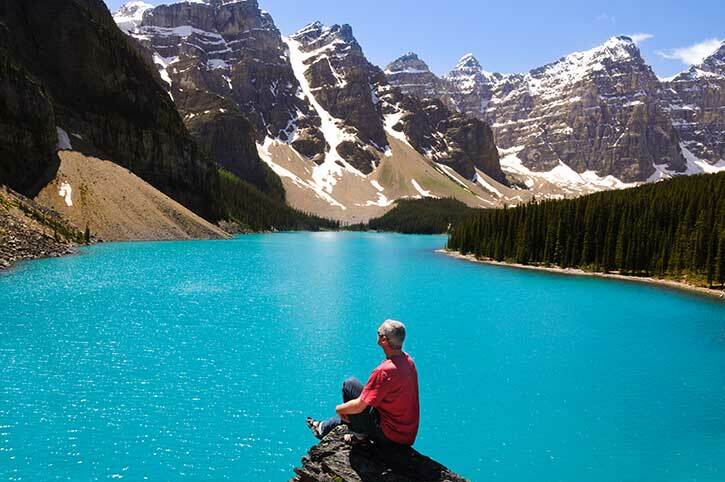 Take in the majestic landscape as you wind through the Canadian Rockies. Sit in the observation car for panoramic views of these soaring mountains and be sure to look out for amazing natural monuments such as Pyramid Falls. Later this afternoon, you will arrive in Jasper and travel on your own to your hotel. Explore the spectacular natural treasures of the largest national park in the Canadian Rockies. 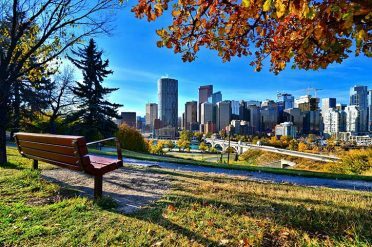 During this exhilarating sightseeing tour, you will see many breathtaking sights, including Athabasca Viewpoint, Maligne Canyon, Medicine Lake, and Maligne Lake. Stand above the massive walls of Maligne Canyon for stunning views of rushing waterfalls. Discover the mystery of the disappearing water at Medicine Lake. Take a leisurely stroll on the tranquil shores of Maligne Lake. The scenery in Jasper is truly unbelievable! This morning, depart Jasper for a leisurely drive out to Banff, one of the most scenic towns in the Canadian Rockies. Enjoy the wildlife, pristine lakes, and breathtaking mountain peaks along the world-famous Icefields Parkway. Visit the natural wonder of Columbia Icefield, one of the largest expanses of ice and snow south of the Arctic Circle. Step onboard the Ice Explorer for an interpretive adventure of the Athabasca Glacier. Enjoy unobstructed views on a glass-floored observation platform extending out over the Sunwapta Valley at the Glacier Skywalk. Lunch is included this day. Today you will explore Lake Louise, one of the most photographed landscapes in the Canadian Rockies. Experience this remarkable destination and take some time to explore the lake at your leisure. Canoe, hike, view the wildlife, or just relax in the historical Fairmont Chateau Lake Louise. You will also tour Johnston Canyon, another spectacular treasure of the Rockies. A hot buffet lunch is included at Fairmont Chateau Lake Louise today. 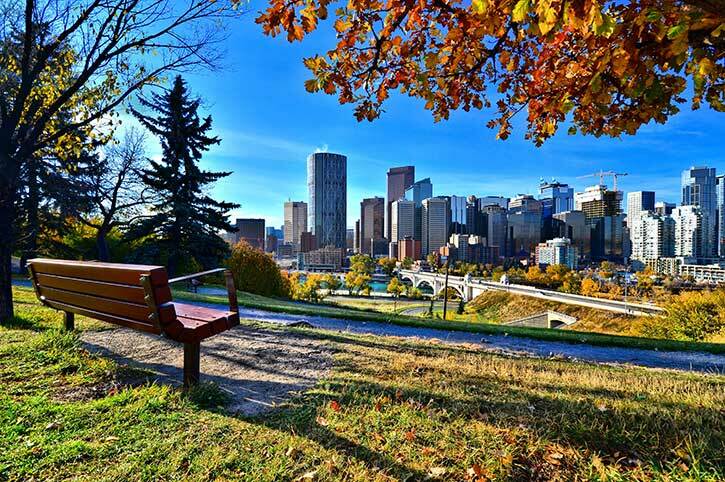 Today you will take your included shuttle transfer from Banff to your hotel in Calgary, the largest city in Alberta. The rest of the evening is yours to enjoy this amazing city. Be sure to buy yourself an authentic Calgary cowboy hat! The Canadian Rockies Discovery ends in Calgary today. Choose to add extra nights here to explore the city further, move on to your next destination or head to the airport for your international flight home. Prices are subject to availability, based on two people sharing a standard twin or double room. Prices are subject to change. Single occupancy supplements will apply for solo travellers. Hotel and room facilities vary and may be subject to additional fees. Some hotels require payment of local city taxes on arrival. Call Freedom Destinations for departure dates and availability Seasonal variations may apply – call or enquire now for more details. Itineraries may vary for tours departing from 1st April 2020 onwards. 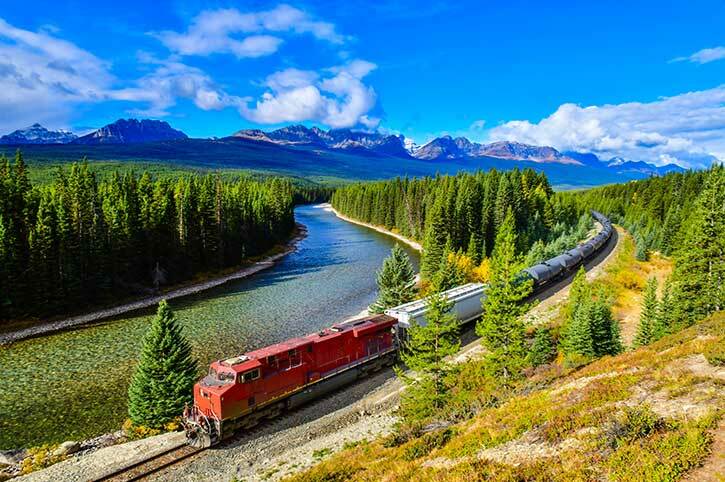 Discover Canada on an exciting independent rail adventure. All rail journeys can be booked as they are or you can choose to add extra days to extend your stay in Canada.